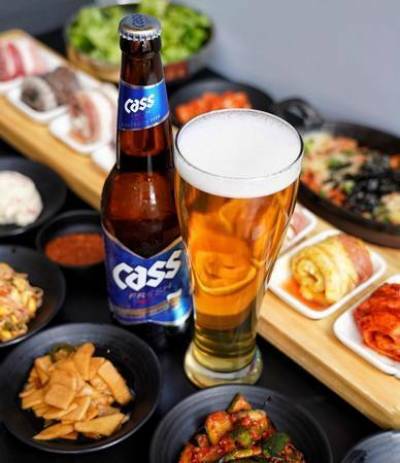 UNLIMITED BEER WITH A KOREAN BBQ COMBO MEAL @ Porkfolio Korean BBQ! Enjoy BOTTOMLESS BEER, yes, **UNLIMITED BEER** with the purchase of ANY Porkfolio Korean BBQ Combo! Cheers! This offer is valid ALL day. Bring your friends to #pigoutatporkfolio. -Bottomless Beer promotion is applicable for 1 combo purchase for up to 1-4 persons. -Parties exceeding 4 people do not need to purchase an additional combo for promotion to apply if a Combo E is ordered. -Not applicable with any other offer. Check out Dates for: UNLIMITED BEER WITH A KOREAN BBQ COMBO MEAL @ Porkfolio Korean BBQ!